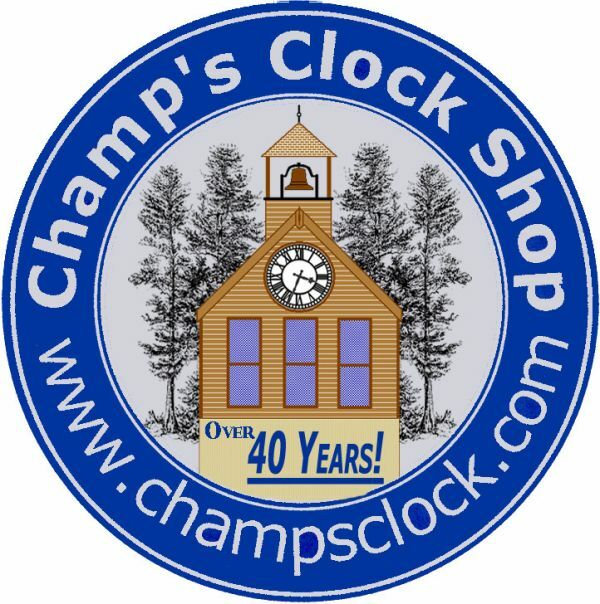 Champs Clock Shop - Hundreds of Grandfather, Wall, Mantel, Cuckoo, Anniversary, Ship's Bell, Tall Case, Animated, Limited Edition, and One of a kind Clocks. Hundreds of Grandfather, Wall, Mantel, Cuckoo, Anniversary, Ship's Bell, Tall Case, Animated, Limited Edition, and One of a kind Clocks. Champ's Clock Shop offers the World's Largest and Finest selection of clocks from Dozens of makers all at the best possible price. Customers comment on our selection and quality as if they were visiting a Museum. We are more than a Clock Store, we are A Genuine Attraction. For Sales, Service and Repair come in to see our Large selection of Floor, Wall and Mantel Clocks at the Best Prices Available. We ship anywhere. For those of you that need clock repair, we welcome the opportunity to speak to you about your clock and give you more information about our shops. Keith Seabolt served his apprenticeship under a German Certified Master Clockmaker.